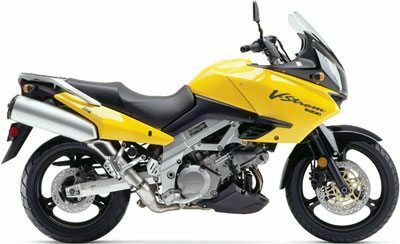 The powerful V-Strom was rated 2002 Motorcycle of the Year by Rider Magazine. Features TL1000R-based 996cc 90o V-twin, DOHC 8-valve, liquid-cooled engine, tuned for strong low & mid-range torque. Front: 2.50 x 19 w/ 110/80R-19 radial tireRear: 4.0 x 17 w/ 150/70R-17 rear tire.